Quito, March 1st, 2017: Bizrate® Insights is one of the largest sources of consumer-generated reviews of online retailers in the United States. Earlier this year, they announced the winners of its 17th annual Bizrate Circle of Excellence Award. The award recognizes retailers that received outstanding online customer satisfaction scores throughout a one-year period, as rated by millions of verified online buyers. This is the fourth time running that, thanks to you our customers, we’ve been awarded this prestigious prize. About Ministry Ideaz: A family-owned and operated business, Ministry Ideaz sells products for Jehovah's Witnesses worldwide. Ministry Ideaz strives always to provide top quality products and, as a result, maintains a highly positive customer service record. The company maintains an unwavering commitment to customer service, offering a 100 percent, money-back guarantee on all products. Furthermore, Ministry Ideaz offers constant customer support through email, telephone, and online chat. 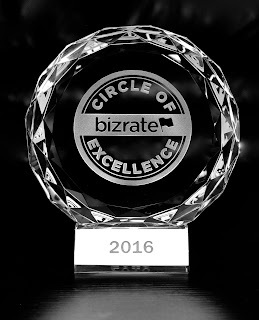 Ministry Ideaz has won the Bizrate Circle of Excellence award on four different occasions.